PCHR expresses its grave concern at the ongoing culture of impunity afforded to Israeli soldiers for violations of international human rights and humanitarian law, including war crimes. The conclusion of an investigation by Israeli occupying forces, as recently stated in media reports, that the death of Rachel Corrie, an American peace activist, in March 2003 was "an accident" is only the latest example of this culture of impunity. 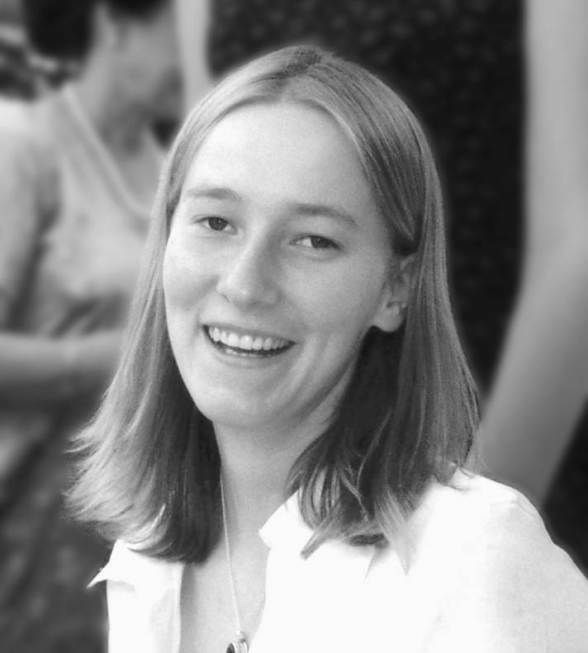 Rachel Corrie, an American citizen, was killed on 16 March 2003 when she and several other foreign peace activists had been attempting to prevent the demolition by the Israeli military of a Palestinian home in Rafah in the southern Gaza Strip. PCHR rejects the conclusion of an investigation by the Israeli occupying forces into the killing, and is concerned that the Israeli occupying forces did not conduct a proper investigation in accordance with minimum international standards on impartiality and thoroughness. In particular, affidavits taken from eyewitnesses to the killing by PCHR's lawyers contrast sharply with the investigations apparent conclusion. These statements are attached to this press release. Eyewitnesses stated that, "The bulldozer continued even further until Rachel was directly underneath the center of the bulldozer. The bulldozer paused for a moment. It then reversed and drove back over her with its blade still down" and that "This engulfing of Rachel, and our screaming that this had happened, I believe, was visible to the crew of both the tank, the bulldozer which killed Rachel and the other bulldozer. The bulldozer driver however did not stop, nor adjust his speed but continued onwards at his slow and steady pace of five miles per hour, or so, for another four to five metres, without lifting his blade." Following the taking of these affidavits, PCHR submitted a request to the investigation department of the Israeli occupying forces that they question these eyewitnesses directly for the purposes of their investigation into the death. The questioning by Israeli occupying forces investigators took place in late March in the presence of Israeli lawyers representing PCHR. PCHR deeply regrets the ongoing failure of the Israeli occupying forces and state to adhere to its obligations under international law to provide reparation for human rights violations. The culture of impunity for violations of international human rights and humanitarian law has existed for many years but has grown increasingly since the beginning of the current Intifada in September 2000. This failure to adhere to international obligations in respect of human rights violations includes a failure to conduct full and fair investigations; a failure to prosecute, in accordance with international standards on the right to a fair trial, individuals responsible for violations; and a failure to provide compensation for victims and victims' families. PCHR is a legal aid agency providing representation for victims of human rights violations in the Gaza Strip. PCHR has submitted more than 1200 complaints to the Israeli occupying forces regarding human rights violations since the beginning of the current Intifada. In no case in which PCHR has submitted a complaint, has any individual in the Israeli occupying forces, security services or other persons, been prosecuted or otherwise disciplined for any act perpetrated against a Palestinian or foreign national. PCHR asserts that the State of Israel should be aware that where it fails in its specific legal obligations to conduct full and fair investigations into human rights violations, and bring those responsible to justice in accordance with international law, victims of Israeli war crimes may seek alternative judicial remedies abroad, including under the principle of universal jurisdiction. The Israeli Military Advocate General, Finkelstein, has decided to close the file on the death of American peace activist Rachel Corrie. Corrie died after being crushed by an army bulldozer in the Gaza Strip in March. Corrie, a 23-year-old college student who belonged to the International Solidarity Movement, was killed by an Israeli army bulldozer in Rafah, where she was taking part in protest efforts to prevent the demolition of Palestinian homes. Finkelstein reached his decision after reviewing the findings of the investigation conducted by the Military Police. This brings to an end the military's probe into the incident, and means that no disciplinary measures will be taken against any of those involved in the incident in which Corrie was killed. Eyewitnesses in Rafah said a routine IDF demolition operation was underway on the day of Corrie's death, with two D-9 bulldozers and a tank as protection. The troops had destroyed three buildings that were already partially demolished and a number of walls. The ISM activists then deployed in the area and used bullhorns to call on the drivers to stop. According to ISM activists, at one stage the IDF forces left the area and took up positions near the border, a few hundred meters away. However, around 5 P.M., the force returned, and the activists assumed the bulldozers were on their way to other houses. "They began demolishing one house," said an ISM activist, who said his name was Richard. "We gathered around and called out to them and went into the house, so they backed out. During the entire time they knew who we were and what we were doing, because they didn't shoot at us. We stood in their way and shouted. There were about eight of us in an area about 70 square meters. Suddenly, we saw that they turned to a house they had started to demolish before, and I saw Rachel standing in the way of the front bulldozer." According to the activist, Corrie was wearing a bright jacket and climbed onto the bulldozer shovel-plow and began shouting at the driver. "There's no way he didn't see her, since she was practically looking into the cabin. At one stage, he turned around toward the building. The bulldozer kept moving, and she slipped and fell off the plow. But the bulldozer kept moving, the shovel above her. I guess it was about 10 or 15 meters that it dragged her and for some reason didn't stop. We shouted like crazy to the driver through loudspeakers that he should stop, but he just kept going and didn't lift the shovel. Then it stopped and backed up. We ran to Rachel. She was still breathing." Activists said the tank arrived on the scene and was only 20 meters away, but the soldiers did not offer any assistance. A little while later, the heavy equipment pulled away, and a Red Crescent ambulance took the badly injured woman to Abu Yusef Najar Hospital in Rafah, where she was declared dead on arrival. 23-year-old Rachel Corrie, an American peace activist and college student from Olympia, Washington, was killed yesterday afternoon by an Israeli military bulldozer in the Southern Gaza Strip town of Rafah. Rachel Corrie and eight of her colleagues from the International Solidarity Movement (ISM), five Americans and three British, were trying to stop the Israeli military from bulldozing a number of houses in the Salaam neighborhood of Rafah. According to initial eyewitness reports, at around 16:45, Rachel Corrie was standing in front of a house waving at the driver to stop. She was wearing a bright orange jacket and communicating with the driver through a megaphone. The rest of the ISM group was standing approximately 15-20 meters away from her and were witnesses to the incident. From eyewitness reports it appears that Rachel walked up the small pile of earth that had been created as the bulldozer advanced towards her. As the bulldozer did not stop she turned around and as she moved to get away she fell over and was covered by earth as the bulldozer continued to move forward. The bulldozer stopped after a few meters, then raised its plow and reversed. At this point Rachel again became visible to her colleagues, who had been screaming, shouting and gesturing at the driver to stop the bulldozer. Eyewitnesses reported that the Israeli military did not offer assistance. A Palestinian ambulance arrived shortly after and took Rachel to the Najar Hospital in Rafah where she was pronounced dead. Rachel Corrie was the first international peace activist to be killed whilst protesting against an Israeli military house demolition operation. 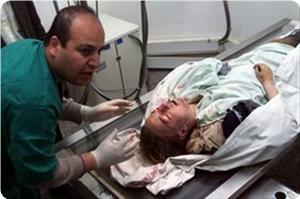 However, Rachel's death is only one of the latest killings by the Israeli military of unarmed civilians. During the Intifada, at least 2000 Palestinian have been killed by the Israeli military or settlers. The frequency of Israeli military house demolition operations and the force used has increased significantly in recent months. At least 6 Palestinian civilians, including 3 women, have been killed during house demolition operations since November 2002 in the Gaza Strip. Between the 29th of September 2000 and the 5th of March 2003 a total of 995 houses in the Gaza Strip have been totally demolished by the Israeli military; 225 of these were destroyed in 2003. In November 2001 the UN Committee Against Torture concluded that the Israeli military policy of house demolition may constitute cruel, inhuman and degrading treatment or punishment in violation of international human rights law. PCHR has repeatedly submitted legal complaints regarding the Israeli military policy of house demolitions and killings of Palestinians during such operations. PCHR is appalled by the apparent willful killing of Rachel Corrie and calls upon the international community to ensure that those responsible for wilfull killings and other grave breaches, including extensive destruction to civilian property carried out unlawfully and wantonly, be brought to justice in accordance with the provisions of the Fourth Geneva Convention.